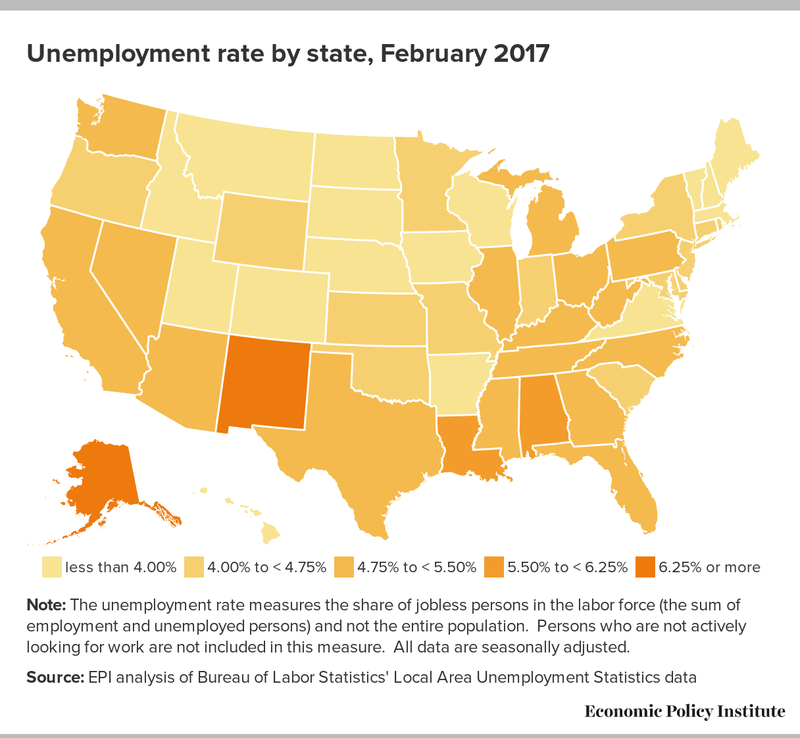 Today’s State and Regional Employment report for February, released by the Bureau of Labor Statistics, showed that the majority of states continued to add jobs and experience falling unemployment rates. From November to February, 46 states added jobs, with Maryland (1.2 percent), Idaho (1.1 percent), Montana (1.1 percent), Vermont (1.1 percent), and New Jersey (0.9 percent) making the largest percentage job gains. 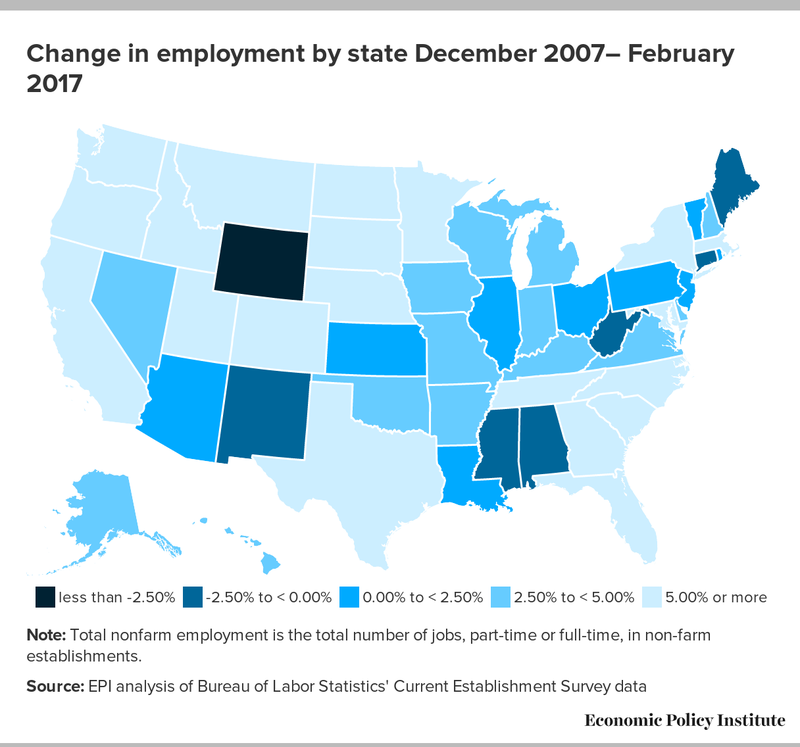 Over that same period, employment fell in the District of Columbia (-0.1 percent) and only 3 states: West Virginia (-0.8 percent), Alaska (-0.2 percent), and Hawaii (-0.2 percent). In North Dakota, the number of jobs was essentially unchanged. From November to February, the unemployment rate fell in 34 states and the District of Columbia. Maine (-0.6 percent), Oregon (-0.6 percent), and West Virginia (-0.6 percent) saw the largest declines in unemployment. During that same time period, 11 states saw modest increases in unemployment rates. The largest increases in unemployment occurred in Massachusetts (0.3 percent), Connecticut (0.2 percent), Delaware (0.2 percent), Michigan (0.2 percent), and Tennessee (0.2 percent). Five states saw no change in their unemployment rates: Alabama, Indiana, Kentucky, Maryland, and Minnesota.